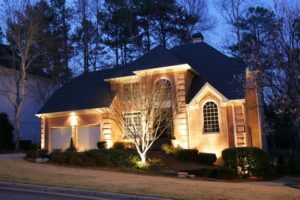 Searching for landscape lighting options? There are many benefits to outdoor lighting! They add visibility to your property during these long, winter nights. If you have guests coming over for the holidays, this is especially helpful. Lighting also provides security for your family – lighting is a deterrent for possible burglars. Let Interstate’s outdoor lighting define space and create depth for your Clifton, VA landscape today!